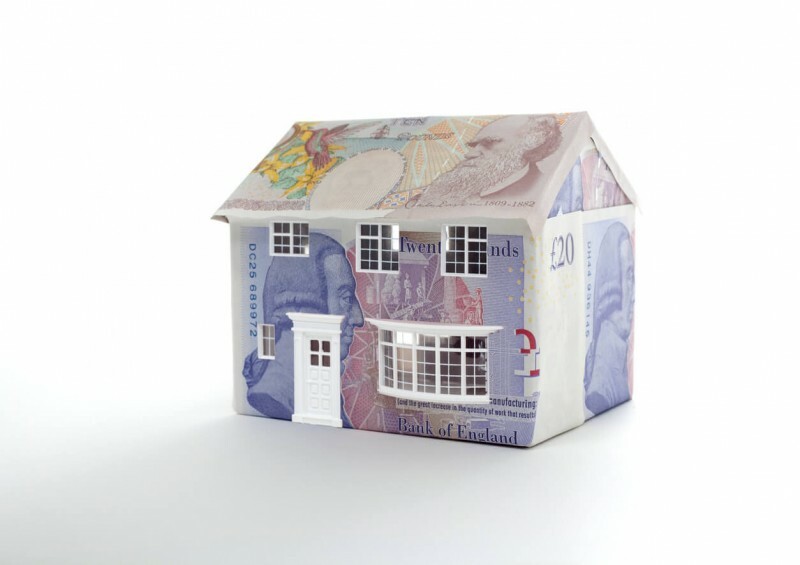 In the UK, the average home insurance cost as we begin 2019 is £163.38 – according to the AA’s latest report regarding the most common ‘buildings and contents’ home insurance policy. The average house insurance cost calculated here represents an increase of 3.8% in comparison to the figures from last year. Is the price of home insurance worth it? When you consider the fact that the contents of an average household in the UK is estimated to be £35,000, and the cost of the building itself usually costing a whole lot more, paying less than £200 to insure your home for 12 months is certainly worth doing. Think about it; that’s £3 per week on average to insure your most prized possessions. So, we know the typical house insurance cost, but what about the two various policies – contents insurance and buildings insurance? On average, annual buildings insurance costs £119.22 in the UK according to the AA’s data collected at the end of 2018. The price of average buildings insurance has increased slightly by 0.7% in the last year, representing the general trend of increasing home insurance costs. However, if you want to cover the ‘stuff’ inside your home as well as the property itself, you’ll need adequate contents insurance cover. The average price of contents insurance in the UK is currently £59.77 (AA) per year – that’s around £4.98 per month – actually decreasing slightly since last year. Contents insurance policies usually only cover items that are individually worth less than a set amount which differs with each quote, as outlined later in the article. Although we have established that the average price of annual home insurance is £163.38, you should know exactly what you’re paying for before committing to a policy. It essentially depends on which type of home insurance you take out, and there are typically three options – contents insurance, buildings insurance and both combined. A combined ‘buildings and contents’ insurance policy is usually the more expensive, but is also the most popular type of cover for homes in the UK. What level and type of cover you need depends on your personal situation, so be sure to speak to one of our expert home insurance advisers before committing to a policy. Buildings insurance policies generally cover the entities that are categorised as being part of your home’s structure – i.e. elements such as windows, walls and the roof. As well as this, buildings insurance includes cover for fitted kitchens, bathroom suites and any other static fixtures. Subsidence is the term to describe the ground underneath your house collapsing or sinking, causing the building’s foundations to be damaged and become unstable. With contents insurance cover, you are essentially protecting the financial cost of your personal belongings within the house, such as furniture (curtains, chairs etc. ), televisions, laptops and all electrical appliances, clothes, jewellery, and sports equipment. Contents insurance often has a set ‘individual item limit’ – typically capped at £1,000. This essentially means that your items worth over £1,000 (or more, depending on the policy) will not be covered by the contents insurance, but can be covered as an optional extra. Additional costly items – including expensive electrical systems, jewellery or collectibles – can be added at an extra cost, with the cost depending on its value. The average cost of house insurance isn’t necessarily cheap, but it can be affordable for most homeowners through the right provider. Generally, the cost of home insurance in the UK does tend to be increasing, which is largely due to the relatively new Insurance Premium Tax as well as factors including the weak pound, and electrical devices within homes becoming increasingly more valuable. Below are some of the key factors that could influence the price of your home insurance premium. When you take out a home insurance policy, you will agree on a voluntary excess amount that you would be willing to pay on top of the compulsory excess the insurer sets, should you need to claim. The higher that voluntary excess, the lower your premium is likely to be, as you will be covering more of the costs yourself. It’s important to remember that you will have to pay this amount towards damages should an accident happen, so always set the excess to an amount that you can afford to pay comfortably. Homeowners often wonder whether their home insurance will be more expensive if they have made a claim before, and it probably will. Just like car insurance, if you have made a claim on a home insurance policy previously, you are more likely to receive higher premiums as a result. Unfortunately, it doesn’t necessarily matter why you made a claim, that’s just how insurance policies work due to the statistics showing that there is more risk of you claiming again if you have claimed before. If you get in touch with our team of insurance advisers, we will use our years of experience to help you find a cheap home insurance quote, regardless of past claims. If you live in a high-risk area – whether that is risk to theft and criminal damage, or storms and flooding – your insurance premiums are likely to increase. Always take those factors into account when moving into a new home, but if you have lived at the house for years without making a claim, our team could review your current home insurance policy and offer you a cheaper premium if you are being overcharged. The size of the property (determined by the number of overall rooms) is also taken into consideration when insurance companies calculate your home insurance cost, as is the type of property – such as flats, bungalows, houses and studio apartments. There are also rarer types, including thatched houses, which can understandably be quite costly to insure. Thatched house insurance generally costs more than others due to the increased risk of fires spreading, but precautions and preventions can be put in place which will allow your insurance provider to lower the premium. For a more specific idea of how much your property would cost to insure, simply give our team a call or complete a short contact form and we will be in touch at a time that suits you. How much does Home Security Save on Insurance? Installing home security features can save you money on your insurance premium, including secure locks, up-to-date alarms and cameras. Adequate home security could lead to you being offered a discount on your home insurance policy, as the house is more secure and therefore proves less of a risk to insure. Working from home could increase the price of your premium, basically because the value of your house rises due to it essentially being a ‘workplace’ as well as a home. Most work-from-home occupations are covered by standard policies, but others do require specialist business insurance. To find out whether you need business insurance for your work-at-home job, contact us here at Compare UK Quotes and we will be happy to help. When your circumstances change, you can often be entitled to a cheaper insurance premium. If you have been paying too much for your home insurance in the UK, give us a call today using our free telephone number and we will help you find a new policy that is catered to your needs. We also provide guidance for first time buyers, so take a look at our simple guides to both contents and buildings home insurance for all the need-to-know basics. Our trained UK insurance brokers are experienced and will guide you towards only the best home insurance companies, providing you with a personal and fulfilling customer experience.